After the Australian Royal Tour of 2011, it was announced that the laws of succession were changed to eliminate the first-born-son restriction. So while the Crown sits on the head of only the eighth woman in British regal history, that number is set to change. The British Monarch will even be able to marry a Catholic, which means that the last Catholic Monarch in England, Queen Mary, ironically coming to power because of Henry VIII’s inability to sire a son, won’t be the last! Henry VIII’s inability also to accept Papal decisions, however, led to Sectarianism among his and his successors’ subjects. Arising from the schism that Henry VIII caused when Pope Clement VII disallowed Henry’s divorce from Catherine of Aragon, it was not until the Second Vatican Council that deep societal divisions across the great British Empire began to be even partially healed. My “MHIS300-Capstone Unit: Making History” project at Macquarie University looked at this issue with a personal bias: why was it such a problem? Why did my grandparents and those of my wife suffer for their choice of life partner? We look at these events now from the safety of the early twenty-first century, but 500 years of tensions fuelled the actions of our grandparents’ families during Sir Robert Gordon Menzies Prime-Ministership which also resulted in an imprint of his personal and political values on society to the extent that they became the norm across Australian society until well into the 1970s. The Irish, Australia’s first ethnic minority, eventually became a force within the Catholic Church in Australia, with Patrick Francis Moran and the reverend Dr Daniel Mannix at the masthead collectively 1884-1963. Their diplomacy styles also caused issues: Mannix helped the “No” vote in both the 1916 and 1917 referenda for conscription with his famous “Australia First, Empire Second” comment which deepened society’s anti-Catholic feeling. The heads of the Churches overseas didn’t help matters. Pope Pius X’s Ne Temere decree invalidated all marriage not solemnised by a Catholic clergyman. Catholic Canon law forbade mixed-marriage to protect children from non-Catholic influences. And Anglican Canon Law forbade clergy to marry non-parishioners. So to create solidarity and to protect themselves in society and the workplace, Catholic men established secret societies. The Knights of the Southern Cross (KSC) was founded in 1919 as a charitable organisation, wanting neither publicity nor recognition. The Catholic Social Science Movement (The Movement) was clandestinely formed by Mannix in response to feared of Communist infiltration of politics, unions, and the Church. The secrecy around these societies only served to strengthen anti-Catholic feeling in mainstream society, as the Masons also experienced at the time. Minority Christian denominations suffered discrimination in the workplace as well as in society. The majority (Protestant) denominations ruled the roost, as it were, when it came to selecting who they wanted working for them, with “Roman Catholics Need Not Apply” tags on want-ads, outright nomination of religious adherence in application forms or in job interviews, and common-knowledge of specific organisations being either pro or anti- Catholic, Protestant, or Mason. Australian retailer David Jones was known for its anti-Catholicism, whereas the Post Master General’s Department was a place for Catholics. A respondent to one thesis that I found during my research kept his Catholicism so quiet that his Mason friends learned of it only at his funeral. This was because he believed that, should his Catholicism become common knowledge at work, he would lose his job. It was Menzies’ Prime-Ministership that made his personal, political, and family values the norm in Australia. He represented everything Empire and Protestant, so leading Catholics to be out of favour in society. A participant in Ben Edwards’ study recalled a family member who considered Catholics as anti-British due mostly to the Irish representation of and by the Catholic Church. Five hundred years of prejudice, intolerance, and bigotry is difficult to overcome, but the Second Vatican Council tried to do so with the easing of official views toward mixed marriage. Pope Paul VI’s announcement in 1970 also had the effect of encouraging ecumenism, and showed the community that members of the different churches were basically all human! The rose-coloured glasses of hindsight allow us to look aghast at history and the way people acted and reacted to certain events. Had our grandparents been born 50 or 100 years later perhaps they would not have experienced the problems they encountered. While today’s society accepts racially as well as religiously mixed-marriages, changes to the laws of succession mean that anyone can become Monarch of the British Empire. Catholics welcomed, of course. “Church of England Canon of 1604”, cited in “Notes and Comments”, Australian Church Record Vol 22 No.4 28Feb57. Siobhán McHugh, “Marrying Out” on Hindsight: ABC Radio National, 11 and 18 October 2009. How did Victorian anthropologists make sense of cultural difference? Anthropology is the study of human cultures and as an academic discipline it has largely developed during the popularisation of Darwin’s theory of evolution. Situating cultural difference in ideas about the survival of the fittest became a theme amongst Victorian anthropologists who saw themselves as products of an evolutionary timeline. This was partly because their own culture was influenced by industrialisation, colonial expansion, increasing secularisation and growing intellectual development. As people began to occupy increasingly respected fields based on their own academic merit and achievement, individual effort had never been so highly regarded. This coincided with more sophisticated reports from travellers, missionaries and colonialists coming back to Britain about tribal societies and their physical appearance, language, customs and social structures. These were often at a complete variance to Victorian culture; and the collectors and recipients of information particularly relished exotic differences and the philosophical discussion this encouraged. Anthropologists started to handle the information using scientific methods, and this was usually situated in Darwin’s ideas about natural selection. Societies were ranked on a scale of civilisation with European culture at the top. Evidence for the cultural inferiority of ‘savages’ included physio-psychological testing, lack of political complexity and generally any family structure that varied from the norm in Britain. Often these groups were described as separate to the human species, and this particularly concerned Christian academics and organisations as it undermined the idea that these primitives could receive the word of God and become moral. Placing primitives into the Biblical story proved difficult for Christian academics. Often they were constructed as the scattered children of Noah, or they existed in a form of low savagery, where after the Fall of Adam and Eve, they had not received the grace of God’s word, and could only improve their existence through contact with moral Christianity (the European version of course). The problem with this conception was the sheer length of time that would be required for tribes to reach the distant places they had, compared the literal Biblical timeline interpretation. Evolutionary anthropologists challenged that during the supposed six thousand years of human existence, rudimentary travel methods could take tribes to such inaccessible locations, and they could have acquired such diverse cultural features. Here the evolutionists were conflicted. On the one hand, if human beings had a single origin from which they had spread over the globe, the time for human evolution would have to be dramatically extended, and the ‘stagnation’ of primitive tribes compared to ‘progressive’ cultures would need to be explained. On the other, if humans did not have a common origin and had evolved in different areas, this meant that humans were different species, and did not explain cultural similarities in distant populations. The matter was especially complicated by the need to explain why certain cultures had become so rapidly dominant, and other so unchanging. Using Darwin’s theory of evolution, tribal customs were described as ‘survivals’; that is they had no current societal function and had not been subjected to selective pressures, thereby surviving to the present day. Most evolutionary anthropologists thought that these would be subsumed once tribes had contact with the fitter European culture; hence the need to collect as much data on savages as possible before it disappeared. The effects of colonial exploitation on tribal groups were becoming well-known, contrasting to the benefits civilisation was supposed to bring to their primitive way of life. Diseases, malnutrition, and tribal conflict were not happily mediated with colonial rule and reason; and this challenged assumptions about the universality of European superiority. Evolutionary anthropologists thought that primitives offered an insight into the evolution of the human race, a sort of cultural time capsule, and that the stages of their own culture could be traced by placing tribes on a scale of evolution. Women, children and lower classes in Victorian society were also ranked on the evolutionary scale, used to justify their position in society. The physical strength of working classes correlated to the superior strength of hunting tribes, the facial features of children were seen as analogous to measurements of tribal noses. All people were believed to have passed through the stages of evolution in their lifetime- with the gradual development of reason, full intellectual faculty, and social and public involvement. The impulsivity of children and sensuality of women mirrored the loose moral restraint of tribes, pointing to their less evolved state. The application of evolutionary thinking to cultural differences in nineteenth century anthropology was an earnest attempt to become more scientific in their explanations of vastly diverse groups of people. This caused much debate over the constitution of an optimal society, the idea of progress and the nature of humankinds’ past. Ironically, early evolutionary anthropology itself underwent a rapid evolution during the Victorian Era, as the academic discipline refined and altered its focus in response to growing information, new methods, and cultural changes at home. Anthropology has come a long way from these ideas, due to information about DNA, archaeology and a deeper understanding of the incredible complexity of different cultures, and today the future of the discipline looks bright. ‘Free, Compulsory, and Secular Education’: Wanted by the people or forced on the people by the government? Free, compulsory and secular education was not instituted by the Australian government until 1880 under the Public Instruction Act. However government attempts at implementing this same kind of schooling system first began in the early part of the nineteenth century. Why did it take so long for such a system to be put into place? One would be forgiven for thinking that the attempts made by the government were knocked back by the people because they did not want schooling systems for their children. There are many people that assume the belief that ‘school’ was primarily brought in to control and civilise the rebellious Irish, and was thrust upon them against their will. However, evidence shows that people did in fact want education and schools for their children; they fought greatly for it. But it was the way education was to be implemented that caused contention and prevented the education problem from being resolved even after the Public Instruction Act was made law. Education of the ‘lower classes’ was not considered important in early England. Some feared that if you educated those at the bottom of society then you only created clever devils. Others thought that if you educated the poor, then they would become dissatisfied with their place in society and this might upset social order. Others again, simply took the view that people only needed to learn enough to do the job they were assigned to do in life. Education was for the wealthy, and the middle and upper classes generally managed the education of their own children. Education was out of reach for many and seen as unnecessary for others both in England and in colonial Australia. But all that changed when government leaders realised the potential for Australia to become a flourishing nation. 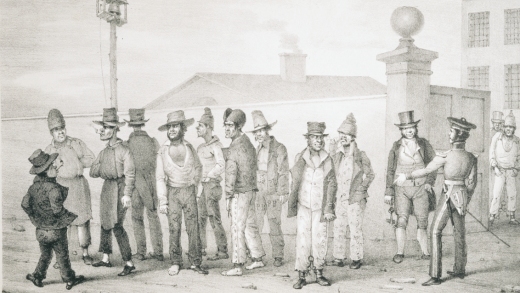 Views on who should be educated started to change when officials recognized that convicts and convict children were going to be the future of Australia; that they would potentially be the leaders and founding fathers of this new nation. Educating the lower classes suddenly became an important idea. The Church of England – Australia’s Established Church? Government leaders became concerned with the education of convicts and their children and tried to help with the set up of places for children to be taught. Overseeing the maintenance of education was automatically assigned to the Church of England. The Church of England was the established Church in England and government officials assumed that naturally it would, and should, be the established Church in Australia and not a body independent. The Anglican Church was granted financial assistance and given land for the purpose of setting up schools but this created conflict among other Christian churches. Members of other sects, especially Catholics, were expected to abandon their religion and risk excommunication by attending Anglican schools, or their children simply had to miss out on going to school. The conflict created by the religious clash caused government leaders to pay attention. While the Church of England was the Established Church in England, it was not the dominant Church in Australia. Alan Barcan claims that a more tolerant religious and political environment in Australia was increasingly hostile to special privileges for one church. Initially, leaders tried to accommodate individual churches by granting them assistance to form and run their own schools, but this soon proved to be too costly and inefficient. Accommodating religious differences became difficult because in some communities there were only enough enrolments to justify funding for one local school, not two or three. So began the cycle of government proposals and rejections of different schooling systems. Government officials were increasingly interested in a schooling system that did not favour any one church denomination to the exclusion of all others. But Church schools wanted to control how the Bible was interpreted and taught to their students, and they wanted state aid to do it. For them a true education moulded character and prepared a man not so much for what he must know but what he must be and what he must do. A G Austin argues that such conflict was endured because only a society convinced of the importance of education would have tolerated the frustration and acrimony caused by the attempt to obtain schools. But by the late nineteenth century, Church schools were no longer just fighting against each other; they began fighting against a growing secular society. Alan Barcan attributes this to religious division, lack of one dominant Church, the undeveloped nature of society in a new land, scarcity of clergy in rural areas, a materialistic spirit encouraged by financial survival, and the lack of a strong middle class. Support for secular reform was also supported by growing anti-Catholic feeling following the attempted assassination of Prince-Alfred, in 1868, by a deranged Irishman in Sydney. Attempts at abolishing state aid to all Church schools began in 1872 and became law in 1882, two years after the Public Instruction Act was introduced. The Catholic Church continued to maintain its schools denied certification and many of these independent schools flourished. Catholic opposition continued, but the Roman Catholic Church made it clear that they were going to continue to challenge the constitutional foundations of Australian education. It seems inevitable that the call for secular schools would have taken place whether or not Church schools experienced so much conflict in the path to an educated society. Because of their efforts, Church schools have survived into the twenty-first century, offering an alternative not just to families of those religions but to parents seeking an education grounded in values and principles as opposed to secular public schools. Whatever the opinion on Church schools may be, the efforts of religious schools in the nineteenth century stand to challenge our notion of what an education truly is and ought to be for ourselves and our children. On the 4th of April, 1687, a King proclaimed these words to the royal court at Whitehall, and it was these words that lost that King his realm. That monarch was James II Stuart, who lost the support of his parliament, his clergy, and, to an extent, his people when he declared that the Catholics of England, Scotland and Ireland would have the freedom to practice their religion without fear of arrest or persecution. James himself was a devout Catholic, descended from a long line of Scottish kings and queens who had inherited the Throne of England when Elizabeth I died childless in 1603, beginning a torrid eighty years of Stuart rule, which saw three civil wars break out and monarchs deposed, executed and reinstated. Although freedom of religious expression sounds like a nice idea, proclaiming the Declaration of Indulgence proved to be a very, very bad idea for James II. He made the grave mistake of promoting Catholicism in an England that was overwhelmingly Protestant. As a result of this political blunder, he was deposed by the Parliament on the 11th of December 1688 and replaced by his daughter’s Dutch husband, William of Orange. What followed was a series of rebellions known as the Jacobite Risings (after the Latin form of James, ‘Jacobus’). For fourth time in less than a hundred years, a Stuart was fighting against his subjects, only this time he was the Rebel. The Jacobite quest to reclaim the Throne of England for the James II and his heirs was characterised by two significant stumbling blocks which prevented the cause from ever having any chance of success. On the one hand, the fact that the Jacobites were fighting to reinstate a Catholic Absolutist monarchy was never going to win over the hearts and minds of the predominately Protestant English populace and Parliament. And on the other, they simply lacked quality leadership on the battlefield – where the rebellion would either win a glorious victory or be cast down by the British Government’s armies (nicknamed the Redcoats). When the Jacobite Risings first began in 1690, the Catholic population of the Kingdom of Britain was estimated to be between thirty and forty percent, an average given a significant boost by the overwhelmingly Catholic population of Ireland. In England alone, the figure was no more than fifteen percent. On that statistical evidence alone, it is clear that the ideological battle for the English Throne was never going to be won by the Jacobites. With the ideological battle lost, the Jacobites needed to succeed where it really mattered…on the field of battle. Although dozens of battles were fought between the Jacobites and British Government during the sixty years of the Rebellion, there were four key confrontations that decide the fate of each of the Jacobites’ three Risings. They were the Battles of the Boyne (1690), Preston and Sheriffmuir (both 1715), and Culloden (1745). Of these four, all but one ended in a decisive victory for the Government forces. Sheriffmuir is the only exception, and although the victory was inconclusive, it was a strategic win for the Redcoats. Each battle was decided not by strength of arms, but by the quality of the leadership, which left the Jacobites at a significant disadvantage. While the Redcoats were well-drilled and disciplined with decorated generals at the helm, the Jacobites were predominately led by a combination of politicians and landowners, as well as the Stuart heirs themselves. And while the Redcoat generals knew their trade and knew it well, the Jacobite commanders frequently found themselves caught out by a bad tactical decision, or even bickering amongst each other! One telling example of the Jacobites’ poor leadership was in the prelude to the Battle of Preston. Two of the Rebel army’s commanders had a disagreement over the deployment of troops, which resulted in the withdrawal of troops from Ribble Bridge, the most easily defensible position outside of Preston itself. Having removed the Jacobite presence from the crossing, the Rebels allowed the Government forces, under decorated General Charles Wills, far easier passage to the streets of Preston. Overwhelmed, the Jacobite generals had no choice but to surrender. Had the Rebel leadership not bickered amongst themselves, chances are the outcome could have been quite different. The Jacobite Risings effectively came to an end in 1746, with the defeat of the romantic folk hero Bonnie Prince Charlie at Culloden in the moors of Scotland. Thus the inevitable happened, after sixty long years of futile rebellion the Jacobite cause was finally put to rest. There was never a realistic chance that James II and his heirs would succeed, as the odds were firmly stacked against them from the moment the last true Stuart monarch was deposed in 1688, right up until the last shot was fired at Culloden in 1746. The fact is that once England – where the real power in Britain was – had expelled Catholic Absolutist Monarchism from the corridors of power, they were never going to let it come back, and they succeeded with flying colours. I’ll leave you now with the Skye Boat Song, a popular Jacobite tune and the namesake of this blog post. Enjoy. Bartolome de Las Casas: Indigenous Advocate or Evangelical Imperialist? Most of us know that colonisation, in its basest form, involves the subjugation of one particular race at the hands of another. What are perhaps overlooked in such an assumption are the methods through which this occurred and the individuals involved in forming colonies throughout the New World. This post will attempt to rectify such misconceptions by examining one particular individual, Bartolomé de Las Casas. Las Casas became heavily involved in the Spanish colonisation of Central America, which represents one of the bloodiest and most unique periods of European expansion. 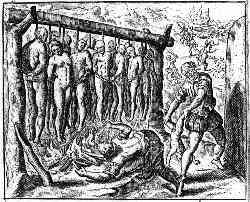 With Spanish conquistadors often engaging in atrocious acts in an attempt to subdue indigenous populations, Spanish colonisation of the Americas is not only renown for its brutal methods of conquest but also for its justification of imperial expansion. The use of Catholicism as a tool of Spanish colonisation led to the emergence of an intricate relationship between state and religion, and it is this tangled web of evangelical imperialism which Bartolomé de las Casas emerges from..
An often misunderstood figure, Las Casas became a prominent member of Spanish colonisation through his dedication to the Indian cause. Las Casas embraced the humanity of the indigenous peoples during a time when many others conceived of them as little more than a commodity to be traded, and as such his legacy of humanistic colonisation has led certain scholars to place him at the origins of modern international humanitarian law. However, as Las Casas’ experiences and recollections reveal, in spite of his advocacy for the protection of Indian rights, he was resolutely dedicated to the imperial campaign of the Spanish crown. It is probably this religious aspect of the program that initially appealed to Las Casas, who actively participated as an encomendero for a number of years, before condemning the system for its rampant abuse of its Indian participants. In A Short Account of the Destruction of the Indies, the only text of his to be completed and published during his lifetime, Las Casas describes “the gulf that yawns between theory and practice.” The failure of the encomienda to meet its aims of peacefully christianizing Indian populations is evidently what Las Casas is referring to and what sparked his determination bridge this gap in a number ways. Las Casas also attempted to correct Spanish colonisation through his advocacy. Central to the development of Las Casas political ideology was the notion of equality. Where other prominent figures within Spain (such as Juan Sepulveda) continued to promulgate a typically colonial paradigm, which viewed the Spanish as infinitely superior to the bestial Indians, Las Casas refused to accept their inferiority and instead sought to humanize them. It is this aspect that Lewis Hanke, amongst others, views as the emergence of modern concepts of humanitarian law; as Las Casas’ promotion of universal equality amongst men mirrors contemporary standards of human rights. Whilst the association between Las Casas and contemporary human rights standards is difficult to ascertain, his devotion to the protection of the indigenous populations of Central America is undisputable. However, what is also undeniable about Las Casas experiences of colonial rule is that he did not seek to liberate Indian communities. Rather, Las Casas remained throughout his life a faithful proponent of Spanish expansion through peaceful and religiously guided colonisation. In 1994 amateur archaeologist Grahame Walsh published Bradshaws: Ancient Rock Paintings of North-West Australia under Edition Limitee publishers, Switzerland. Patrons for his research and publication include members of the Myers and Murdoch families, as well as various wealthy pastoralists who own land on which the rock art is located. The Bradshaw rock art, named after pastoralist Joseph Bradshaw who ‘discovered’ them in 1891, or Gwion Gwion as they are known by the local Aboriginal people, are located in the Kimberley region of Western Australia. They are spread across 50, 000 square kilometres within 100, 000 sites. 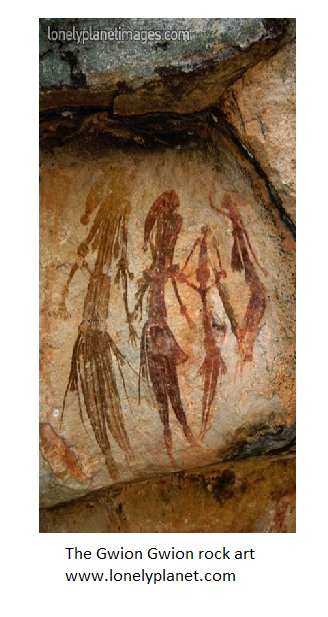 The rock art depicts slender figures, heavily adorned with elaborate headdresses, tasselled garments and armbands, surrounded by weaponry, tools and fauna. Bacteria and fungi now cover the rock art, making accurate dating impossible. Thermoluminescent dating carried out on mud wasp nest which covered one of the artworks revealed a minimum date of 17,500 years, however estimates based upon depicted mega flora and fauna suggest an age of up to 70,000 years. This would make the Gwion Gwion the oldest existing rock art in the world. most likely sunken beneath the rising sea levels” like the lost civilisation of Atlantis. Walsh’s publication also reflects colonialist attitudes and theories regarding racial hierarchies and capabilities. In 1827 Augustus Earle stated that Aboriginal people were “the last link in the chain of existence which unites man with the monkey.” These theories stressed the ‘simplicity’ and ‘primitiveness’ of Aboriginal people and their culture in attempt to justify and legitimise the European invasion of Australia and the dispossession of land. Walsh similarly argues that due to the ‘primitiveness’ of Aboriginal culture, the ‘Bradshaw’ or Gwion Gwion artworks must have been created by another culture and that Indigenous peoples therefore have no rights over the land. Why then did Walsh receive such a positive reception in the media and general public if his hypothesis clearly relayed outdated, racist and colonialist assumptions about Aboriginal people? Both Walsh’s hypothesis and the media hysteria it generated was reflective of the political atmosphere in which he published. In 1992 the Mabo vs. Queensland case overturned the legal fiction of Terra Nullius, making Indigenous Native Title claims possible. The ruling generated public hysteria in which it was misbelieved that Aboriginal people could literally claim suburban backyards or agricultural lands essential to the nation’s economy. Walsh’s theory feed into public hysteria and misconceptions, providing ‘evidence’ that Native Title legislation was illegitimate. Indeed, during a High Court Native Title case, Walsh gave advice to the lawyers for the Pastoralists and Graziers Association which was opposing the claim, arguing that contemporary Aboriginal people bear no substantial relationship, genetically or culturally to this ‘mystery race’ and therefore had no claim over land. That Walsh’s hypothesis received positive responses from the general public and media is perhaps a sad reflection of societies inability to reconcile with the past and accept responsibility for current injustices. The local Aboriginal people have issued numerous public statements discussing the importance of the rock art to their Dreaming and culture. In 2003 they won a Native Title claim to the rock art, in which the High Court of Australia recognised the Aboriginality of the artworks. Various academics such as Lynette Russell, Ian McNiven, Michael Barry, Peter White and Darrell Lewis have recently published articles in which the Indigeneity of the artworks and their strong linkages to other art styles across Australia has been demonstrated. That the origins of the Gwion Gwion rock art are still disputed, reflects how far society has yet to go, before reconciling with the past. Ian Wilson. “History, Politics and the Bradshaws of the Kimberly” Studies in Western Australian History Vol. 26, 2010. Grahame Walsh. Bradshaws: Ancient Rock Paintings of North-West Australia. (Geneva: Edition Limitee Switzerland. 1994). Grahame Walsh. ABC, Australian Story. Rock Heart. Transcript 14th October 2002. Available at http://www.abc.net.au/austory/transcripts/s696261.htm. Anthony Redmond. 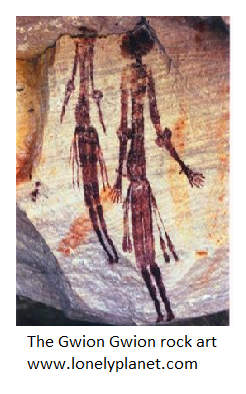 “‘Alien Abductions’ Kimberly Aboriginal Rock-Paintings, and the Speculation about Human Origins: on some Investments in Cultural Tourism in the Northern Kimberly” Australian Aboriginal Studies Vol.2. 2002. Revolutionary figure, Ayatollah Khomeini, is one of the most influential political figures of the twentieth century. Imagine the roaring crowds of up to five million passionate Khomeini supporters welcoming his return after 14 years of exile on the 1st of February 1979. Now imagine the manner Khomeini would have chosen to have carried out his political sentiments against the monarchy of Mohammed Reza Shah Pahlavi. Like a tidal wave that affects everything in its path, Khomeini’s political vogue mobilised a strong united force of many Iranians against the Shah. Iran voted by national referendum to become an Islamic Republic on April the 1st 1979 and to approve a new theocratic constitution whereby Khomeini emerged as the Supreme Leader of Iran in December 1979. How did Khomeini invoke such a strong desire for an Islamic republic amongst the vast majority of Iranians? Let’s pause and think about the common perceptions of Khomeini. Perhaps a stern forbidding cleric whose imagination was frozen in time might suit. However, this perception does not explain his enormous popularity. In reviewing Khomeini’s political conquest we come to see a man whose movements were achieved with a remarkable level of intelligence and tactical dexterity. Viewing Khomeini as a man who strategically capitalised upon the state of the Shah’s political affairs provides us with a deeper understanding of Khomeini’s victory. The revolution in part was a conservative backlash against the increasingly westernising efforts of the Western backed Shah and a liberal backlash to social injustice. Borrowing his ideas from leftist ideologues, Khomeini utilised modern technologies to perpetuate his message whilst remaining vague about his objects. From 1963, the Shah’s relationship with the United States intensified which also seemed to provide the foundations for Khomeini’s public denouncements. The 1963 White revolution crisis offered Khomeini the perfect opportunity to claim the leadership of anti-Shah Forces. With fears of Soviet rise, the Kennedy administration placed increasing pressure on the Shah to modernise at a faster pace in introducing a series of political, social and economic reforms collectively recognised as the White revolution. An American diplomat sighted the Shah as an anxious man when American diplomats urged him to modernize at a pace faster than his careful crawl. The fraudulent referendum results of 1963 that returned with a hardly credible 99% in favour, provided Khomeini with the perfect opportunity to condemn the Shah’s program. The John F. Kennedy administration had an immense role in the transformation of Khomeini from a bit player to the chief protagonist in leading the revolution. Denouncing the Shah as “America’s puppet”, Khomeini moved to issue a manifesto that held the signatures of eight other senior Iranian Shiite scholars which listed the Shah’s submission to the U.S and Israel, violation of the constitution and condemned the spread of moral corruption. The Shahs White revolution created the ideal conditions to stage larger and more reactionary verbal stand offs against the Shah. One of the most explicit and obvious events in which Khomeini directly took advantage of the state of the Shah’s political affairs in conjunction with cleverly intertwining Islamic heroes is Khomeini’s speech issued on the climax of Muharram, the day of Aushra. Muharram is a period where Shiite Muslims commemorate the events that took place in the battle of Karbala. An army of 30,000 was mobilized by the Umayyad regime, besieged Imam Hussein, the grandson of the holy prophet Mohammad, and 71 of his loyal companions forcing them to pay allegiance to the corrupt caliph Yazid and submit to his authority. The group resisted which saw a serve battle in which the Imam and all his companions were killed. For Shiite Muslims, Muharram represents the greatest tragedy where they believe Imam Hussein stood for a noble cause in the defence of Islam and was killed in such a cruel manner. Khomeini’s speech drew parallels between the tyrant Yazid and the Shah. Khomeini branded the Shah as the “new Yazid” with the crowd often chanting “death with the Yazid regime.” Khomeini referred to a number of preachers in Tehran forcibly being taken by the Shah’s security organisation and ordered not to publicly criticise the Shah, not to evoke anti-Israeli movements or publicly express that endangerment of Islam. Khomeini questioned the Shahs links with foreign forces asking “does the SAVAK mean that the Shah is Israeli, Mr Shah, do you want me to say that you don’t believe in Islam and kick you out of Iran?” Khomeini strategic speech on the day of Aushra proved to work in his favour. The next day copies of Khomeini’s speech appeared on the walls of holy shrines and an Islamic college where thousands gathered to read and discuss. Khomeini’s popularity only continued to grow. Khomeini’s victory is linked to his capitalisation on the state of the Shah’s political affairs from 1963.